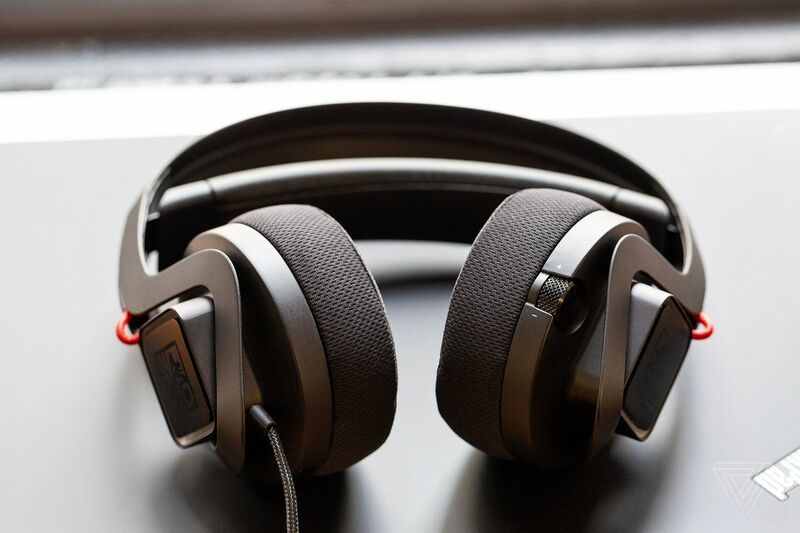 Designing gaming accessories isn’t entirely new ground for HP, but the company’s Omen Mindframe headset is pretty special because it’s a USB-only headset that delivers 7.1 virtual surround sound while also cooling your ears. 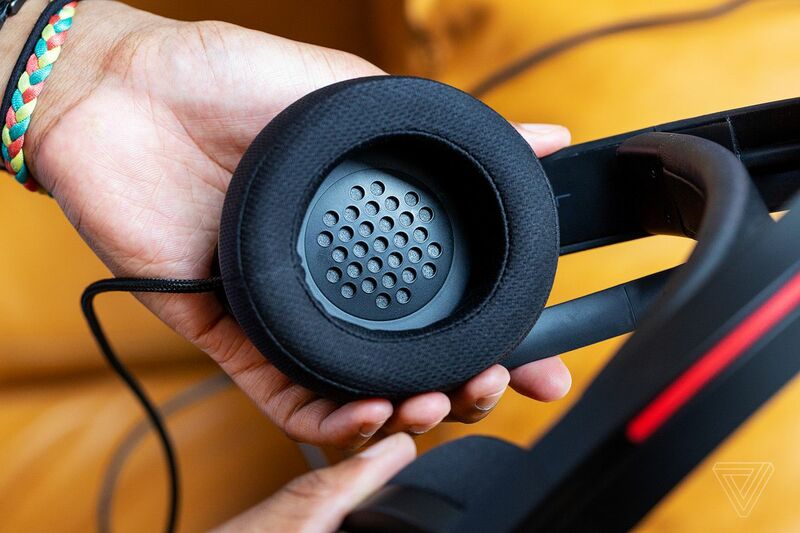 The Omen Mindframe headset costs $199 — which is a high price for a non-wireless, USB-only headset — and it has small thermoelectric coolers next to aluminum plates in each ear cup that are tasked with cooling off the interior of both cups. 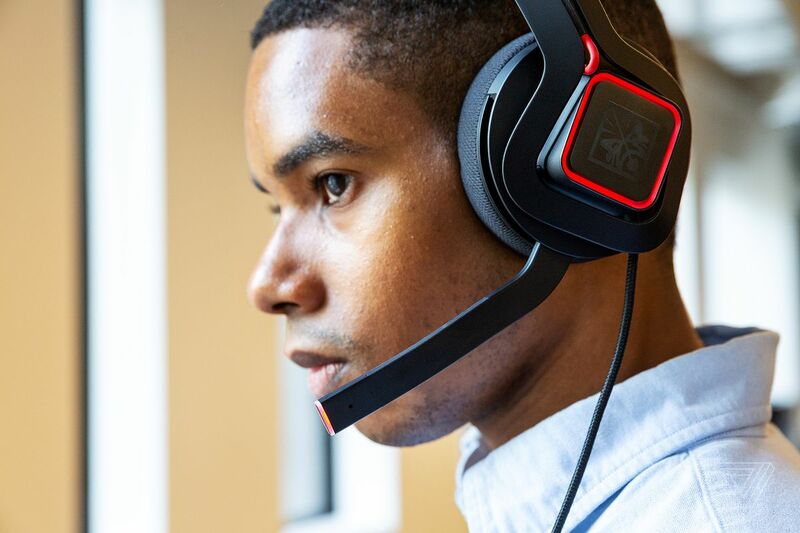 HP calls this tech “FrostCap.” There are tons of scenarios where cooling headphones can come in handy: LAN events, warmer climates, or just your everyday marathon gaming stream. Even if you’re just prone to having sweaty ears when wearing closed-back headphones, the cooling effect can lessen the discomfort. The Mindframe is an experiment that shows promise, but its present execution falls short. Let’s just dive straight into the cooling feature: it works. In fact, it works really well. The Mindframe is a closed-back headset with breathable mesh ear pads, so you can wear it for extended periods of time without listening fatigue or any moisture building up around your ears. FrostCap works by using thermoelectric coolers inside the ear cups to chill aluminum grille plates near your ears. The plates then transfer heat from inside the acoustic chambers to the heatsink attached on the other side, siphoning the heat away. The Mindframe weighs just a pound, and it has a comfortable fit, at least for my head shape. It sits comfortably on my head and temples without applying too much pressure, and it also offers decent noise isolation. (You’d have to take the headset off to have a conversation.) However, most of its construction is plastic, so I worry about how long it will be able to hold up if I thrashed around. The headset only supports USB-A as an input, due to the power requirements for the FrostCap tech. The cooling effect takes two to three minutes to be noticeable and a full 10 minutes after you plug it in for FrostCap to reach full blast. The interior of each ear cup is actually cold to the touch, not just cool. It’s an impressive feat of engineering in such a small, personal space. Of course, the FrostCap tech isn’t without its drawbacks. The way it works causes the plastic exterior to noticeably warm up after excess heat passes through the aluminum grilles. HP claims to use a Peltier cooler design for FrostCap, but that method of thermoelectric cooling is known to be high on cost and poor in efficiency. So if one of the coolers stops working, that’s the end of your cooled comfort. The Mindframe’s ear cups slowly build up with heat without it. Additionally, what if you’re wearing the Mindframe headset and it gets too cold? You can adjust the cooling, but not without downloading and using a Windows-only app. There also isn’t a way to control the microphone level (other than muting it) on the headset. In order for you to control the Mindframe’s cooling feature, you can download HP’s Omen Command Center on any Windows computer, then select from one of three settings: high, medium, and low, followed by an “off” option. That’s cool and all, but I would have preferred to control the cooling directly from the headphones. After all, if you switch systems, you have to download and install the Omen app again, which is a pain if you’re going to LAN parties. You can also control the RGB lighting settings from the Omen app. The Mindframe supports 16.8 million colors and can be used with lighting effects or just shut off entirely. I’m surprised HP didn’t include an in-line remote so you can control the 7.1 virtual sound profile. To make things worse, HP doesn’t offer any sound control in the Omen app other than basic volume control, so the Mindframe is stuck in its 7.1 virtual surround mode. 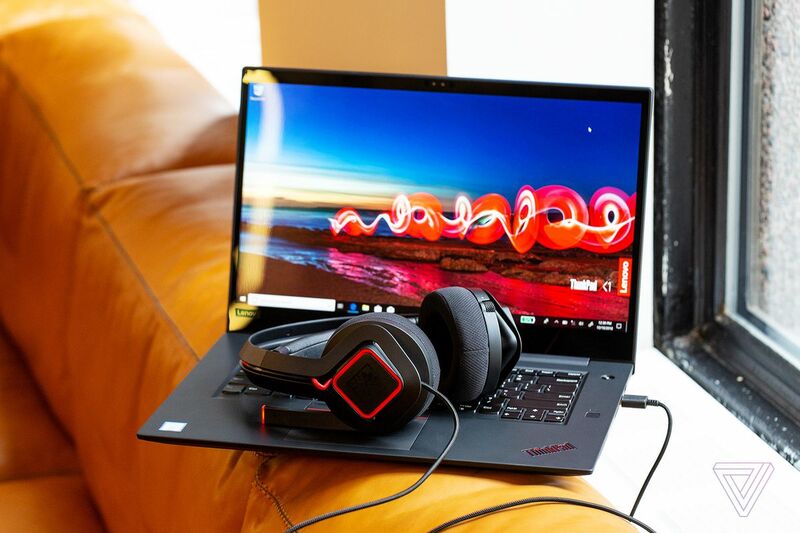 This is a big issue because the sound reproduction isn’t better than gaming headsets that cost half as much from brands like Razer, HyperX, and Logitech. 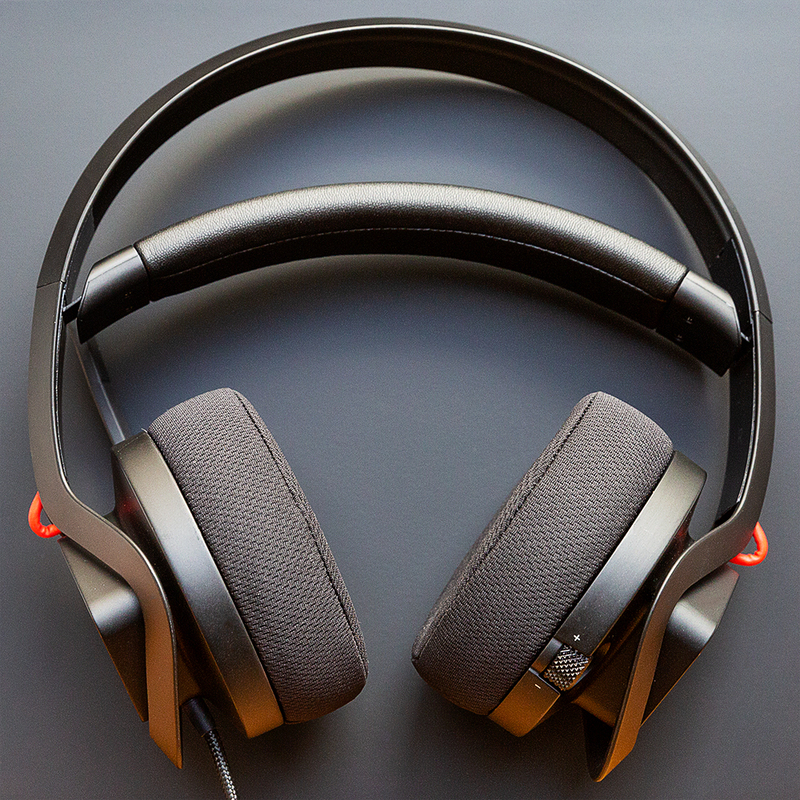 In fact, the sound the Mindframe produces lacks immersion compared to other 7.1 virtual or stereo headphones that I’ve tested, like the excellent HyperX Cloud Revolver headset. No matter the content — music, videos, or games — the audio I heard from the Mindframe felt hollow. The midrange sounds like it’s distant, the low-end bass sounds like it’s muffled, and the high-end lacks the level of detail that would make, say, the sound of a coin drop distinctive. Other reviewers have also come across this issue, so I doubt it’s a matter of having a badly performing review pair. Unfortunately, the Mindframe microphone also has issues of its own. Pushing it back into the “mute” position, you’ll hear an audible beep while wearing the headphones, which interrupts anything you were listening to. That’s just sloppy. On the flip side, the audio quality is decent enough for other players to hear me via Discord without any muffling or distant echoes. If you plan on using this headset for streaming, however, you may still want to invest in an external mic. Overall, the HP Omen Mindframe is an exciting preview for gaming headsets and wearable tech, in general. It might not be a requirement for my next headset, but being able to keep my ears cool during long gaming sessions is right up there in the “didn’t know you needed it until you had it” category. As for recommending buying the Mindframe? I can’t do that. HP needs to open up the audio controls in the app, allow toggling of the 7.1 sound, and improve the headset’s sonic performance. Fraught with audio problems, I had to ask myself if the Mindframe’s FrostCap tech is a gimmick or not. It works, but it doesn’t make the Mindframe’s litany of issues go away. Ultimately, it doesn’t seem worth it, despite the comfort.